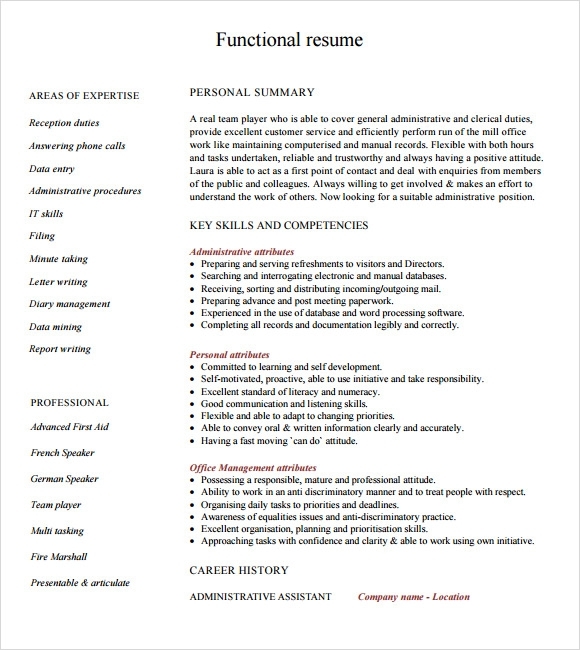 Functional resume is one of the kinds of format that is very popular for designing resumes. 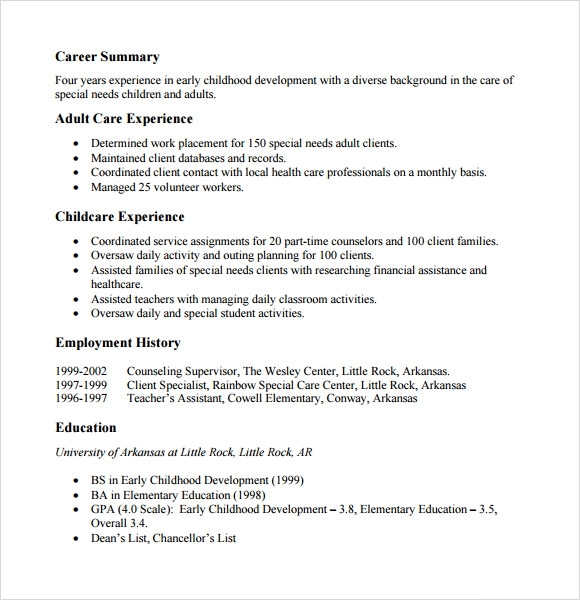 Now the concern could be who should prefer this format of resume! 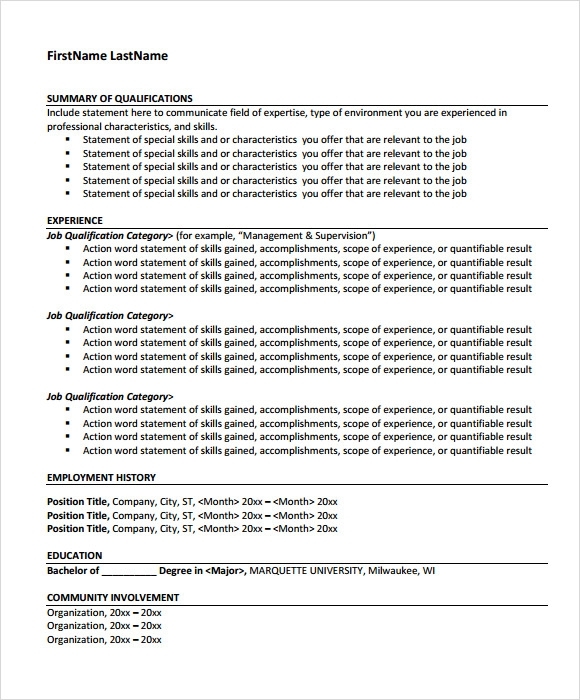 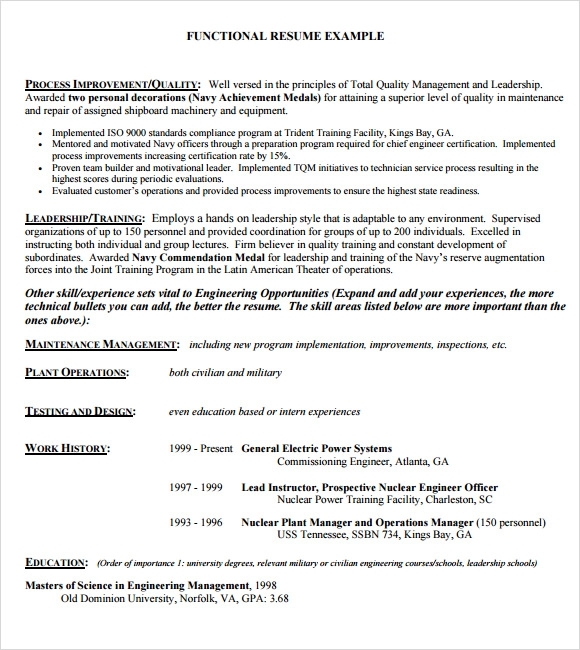 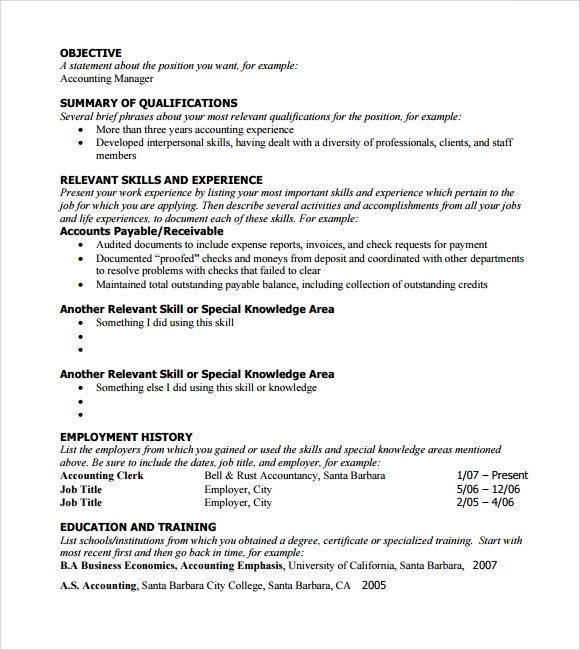 Well anyone who wants to highlight their abilities and skills more than their prior work history can take up this kind of resumes but specifically if you are a fresher, then your resume has to be functional and you do not have the option for chronological resumes. 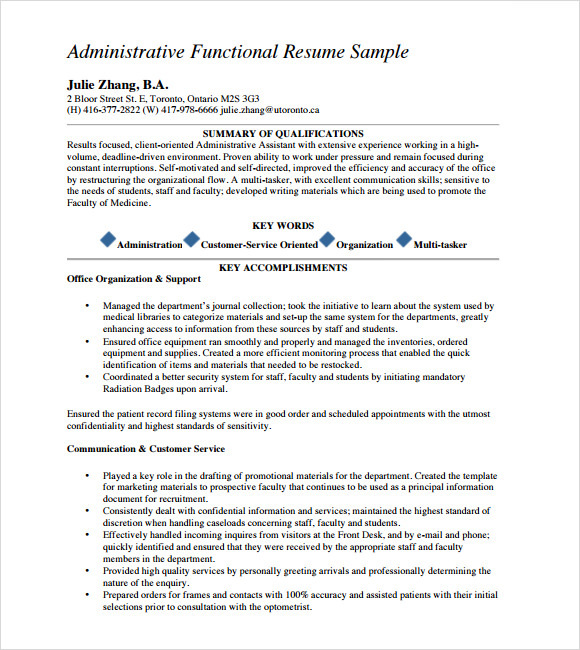 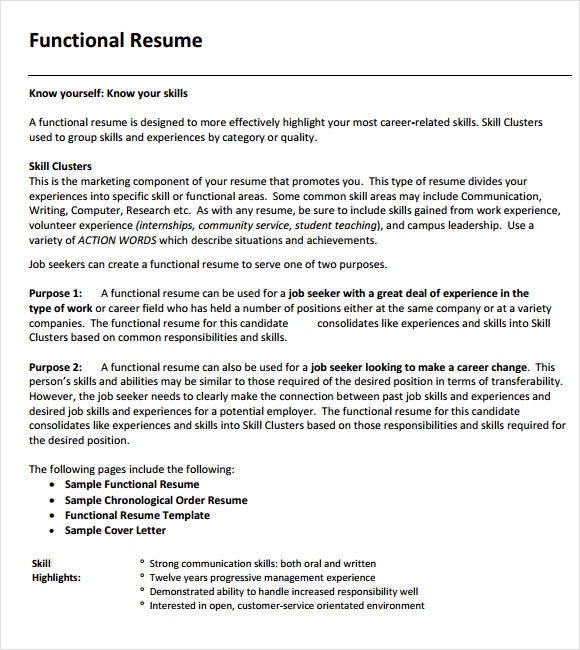 A functional resume focuses on your abilities for doing the job effectively and includes your past experiences on the work in other organizations later in the bottom of the document. 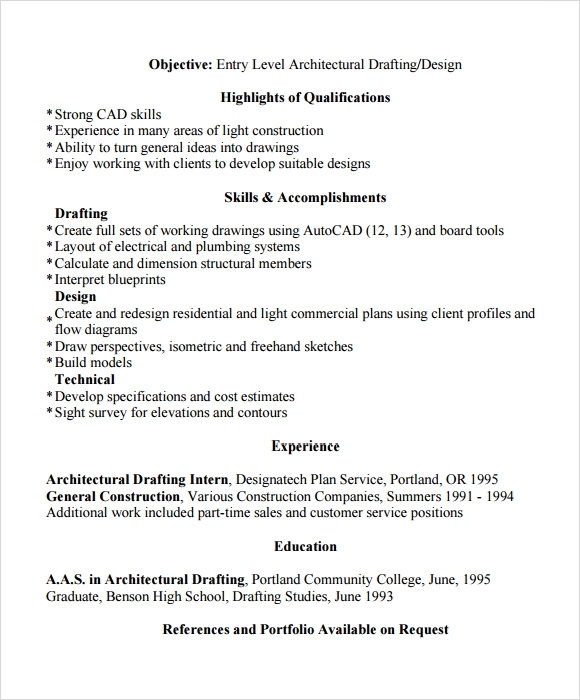 To help you design one we have free Sample Resume Templates and examples and if you do not want to spend time designing your own, you can just download our templates and fill them up.